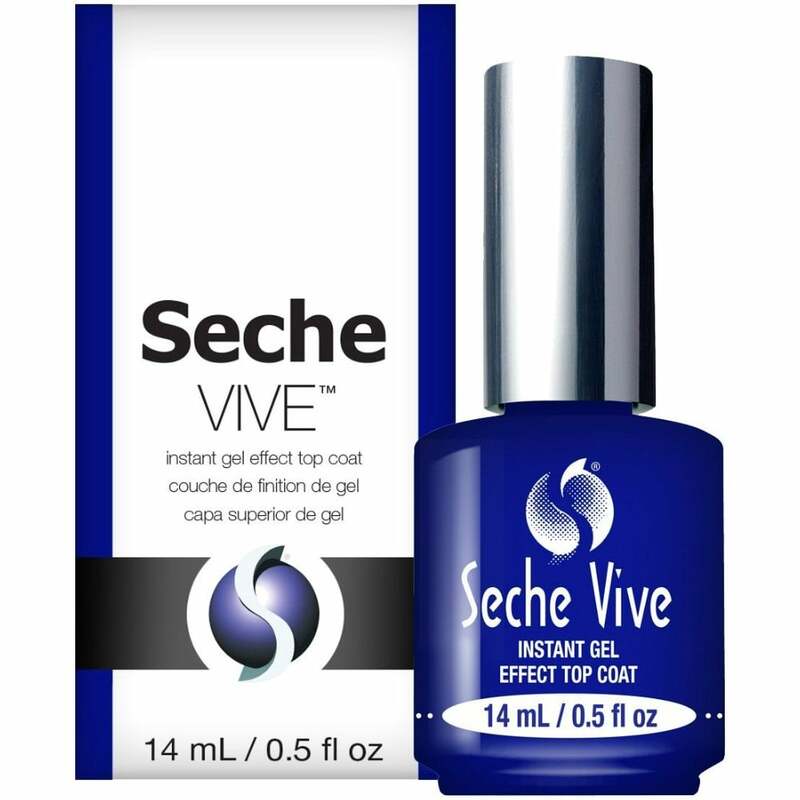 Seche Vite Instant Gel Effect Top Coat (14ml) is a quick-drying top coat, uniquely formulated to achieve the plumping effect and high gloss finish of a gel without the need for a UV or LED manicure lamp. Easily removed with nail enamel remover, either acetone or non-acetone, it delivers a durable, glossy result and can be used over any nail polish. Completely cruelty-free. Form a full bead at tip of brush. Do not wipe excess off brush. Apply over dry nail, polish.